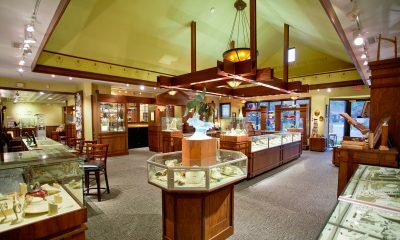 Wilson Matthews & Co. is a well-established and highly regarded full-service jewelry store in a large Northwest city. Two years ago, Paul Matthews completed what he considered his crowning achievement — the major renovation of his store, including the addition of a modern Fine Timepiece Gallery. 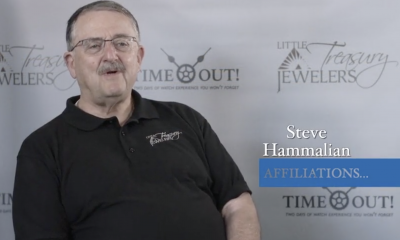 Paul had begun his career as a watchmaker in his father’s store, and he was delighted to get back to his passion and trade as he turned day-to-day management of the company over to his son Jack after the gallery grand opening. One afternoon, Jack was working with Anne Cahill, the new CEO of a growing tech company headquartered nearby. She was referred to Wilson Matthews when she needed a bracelet repaired shortly after moving to town just over a year ago, and had recently purchased several items from the store. During her last visit, Anne mentioned that a new watch would probably be next on her list, so Jack made sure he invited her in for a preview the day the new season’s Rolex order arrived. While Jack and Anne were discussing watches at the Rolex case near the front of the gallery and Anne was trying on different models, a young woman Jack recognized as Amy Hart, the daughter of a longtime client, entered the store and went to the repair counter around the corner from the showcase. She was assisted there by another sales associate who delivered the vintage rose gold wedding band that she had left for sizing the week before. It all happened so quickly that Jack could barely react. He composed himself, left the watch with Anne and told her to give it a little more thought, and stepped around the case to begin talking with Amy about her father and her wedding plans as he gently led her toward the front door. When Jack returned to Anne a few minutes later, the watch was on the counter pad. Anne said, “You know, maybe she’s right. I don’t really need this watch. I should probably think about it a bit more.” She thanked Jack for his time, said she would be back and left the store. Should Jack follow up with Anne? If so, what should he say? Could Jack have handled the situation differently? Jack could call Anne and say that he will donate a percentage of the sale to a local charity of her choice. I would also explain to her that she has worked hard to get to where she is, and with her success, she should purchase nice things for herself. The economy depends on successful people like her to function. Without these purchases, stores like his fail, and then there is a domino effect. This market-based economy is how this country functions and how we get the taxes to pay for our infrastructure, police and fire departments, etc. This has come up before with clients and my response is that this piece of jewelry represents your hard work, your education, what you accomplished in life, the struggles and the rewards. There is nothing wrong with buying an expensive car, living in a nice house or having a nice piece of jewelry; you earned it! Enjoy the rewards for making good decisions, and for those others less fortunate, give generously. Jack’s experience at Wilson Matthews & Co. is not uncommon in today’s world of tremendous wealth disparity. Disposable income can be spent to do good or to show off one’s wealth. You might ask as a jeweler, how can I say such a thing? Well, if Ann were looking at a handmade one-of-a-kind piece of designer jewelry, it would be one thing, but this is a mass-produced Rolex that does not keep time any better than a timepiece that sells for 1/100 the cost. The main function of a gold Rolex watch is to show that one has the resources to buy a very expensive watch. You never know what another customer is going to say. I am afraid we live in a time where ostentatious displays of wealth are frowned upon by many. Remember the days when women wore furs? Jack should call and tell Anne that he was grateful that she came in to look at his watches, that he couldn’t help but hear the conversation between Anne and Amy, and that he too is very concerned about local poverty. He could invite her to his next gala charity at the store, where a portion of the proceeds will go to benefit a local food pantry or orphanage. He should also invite Amy so she can see that we in the luxury goods industry are part of the solution, not the problem! I would have engaged them both in conversation immediately. I would have pointed out that the true worth of an investment, whether charitable or personal, is not always obvious. I would have talked to Amy about her use of the family heirloom and how wonderful that is. Then I would draw Anne into the conversation with an anecdote about how fine watches typically stay in families for generations. I might have pointed out that Amy’s grandparents may have made a choice about their financial sacrifice for her beautiful rose gold band but the value of it to her (Amy) certainly validated that expense. I then would have talked to Anne about how the relative cost of long-term investments such as a watch are often mitigated by the years of use. Along with it becoming a part of her family’s history, just like Amy’s band. Remember these key words: the sale begins when the customer says no. He never should have let her leave the store without asking the following: “Do you know how many people this Rolex watch feeds, from the production in Switzerland to the stores in the U.S. and worldwide? It is a quality product. You work hard and deserve it. Would you like to take it now or give me a deposit?” We are in a business that is the epitome of conspicuous consumption. Let’s give them a reason to purchase and feel good about it! Jack should absolutely follow up with Anne. The momentary guilt very well may pass. There’s really no policy that you could put in place to avoid it. It was customers interacting with each other—it’s difficult to dismiss someone else’s opinion gracefully. Perhaps pointing out the difference of where two people are in their lives: a new bride without much money who wants the sentimental investment of a family piece versus a mature, established client who’s looking to make that investment that will last for generations. There are points to be made that could help the watch customer to realize that it’s not a selfish decision to spend her hard-earned income on herself as she sees fit. Follow up and tell her, “You know, Rolex timepieces are made to be passed down to your next generation, cherished for multiple lifetimes. Just like Amy’s grandmother’s ring.” You see, if her grandma had had that same attitude, she wouldn’t have had that cherished heirloom to pass down to her next generation. In sales, you have to be ready for anything that comes your way, and practicing different situations like this with your staff will be the best way to be prepared when something like this arises. She is a CEO, and CEOs have to look like CEOs. Their employees expect it. He should emphasize all the charitable programs that he and Rolex participate in to help erase the impact of the negative feedback Anne received. He could also partner with Anne’s company on some of her company’s charity events. There are ways for those with means to do a lot of good in the world. Self-denial helps others very little.